One unique and exceptional source of these wonderful nutrients is flaxseed. 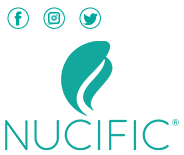 Edible both as a seed and as flaxseed oil, this plant is a great way to introduce omega-3s into your diet. There are other plant-based omegas out there, like walnuts and canola oil, but flaxseed is among the best source.2,3 This is not only true in terms of nutrient content. Flaxseed also offers plenty of versatility. It can be included as part of a mealtime staple, a portable snack or even an addition to baked goods recipes. The first option is ground flaxseed. Flaxseed has a harder shell, or hull, than sesame and other similar seeds. Ground flaxseed involves grinding down the seed hulls, making them easier to eat. You can have your flaxseed coarse or fine, depending on what the recipe calls for.12 If you’re not interested in grinding your own flaxseed, you can use flaxseed meal. The second option is flaxseed oil. The nice thing about flaxseed oil is that there’s little prep-work involved. However, you do lose the lignan and fiber content with this format.13 This is all the more reason for you to incorporate flaxseed into your diet in different ways. Baking is probably the most common way to incorporate flaxseed into your diet. You can easily add ground flaxseed into muffins, bread, cookies, or cakes. It adds a nutty flavor. Trying to experiment with tempeh or tofu? Consider adding flaxseed to a crust for extra crunch, or use it as a coating for eggplant parmesan.15 You could either sprinkle it on when you are cooking or add it after you are done cooking for an extra crunchy factor. 4. Incorporate it in your favorite breakfast item. 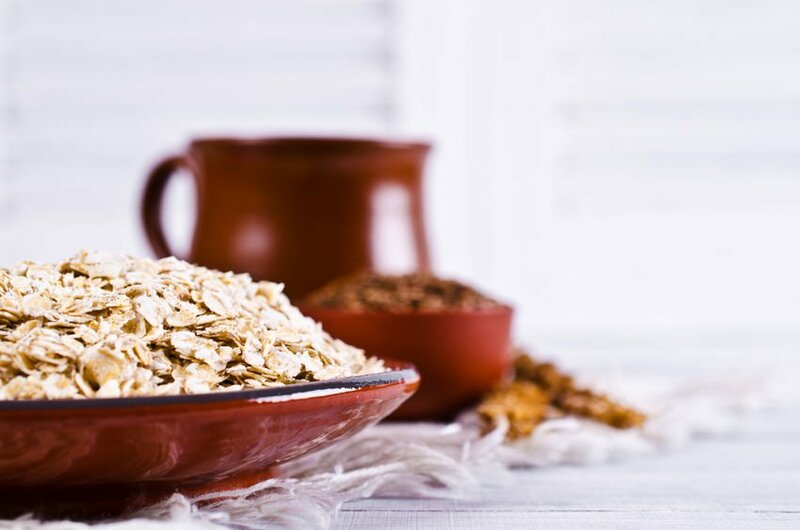 Sprinkle flaxseed meal over cereal, oatmeal or yogurt to get a early morning dose of omegas and lignans with little effort. Who needs croutons (and the extra carbs!) when you can top your salad with flaxseed? This is a great way to combine flaxseed with healthy foods like kale or spinach. Try toasting them lightly for an extra boost of flavor. 6. Give your soups and stews a nutrient boost. In the same vein as the salad idea above, a little garnish of flaxseed can provide a nutritious contrast of texture and nutty flavor. If you want to go a little heartier, considering stirring roughly a half to a full cup of flaxseed into stews or casseroles. 7. Get creative with your spreads. If you’re planning a picnic, add a tablespoon of flaxseed to your sandwich spreads or dips, like hummus or guacamole. It adds a tasty twist to standard picnic or party eats. 9. Create your own granola bars. 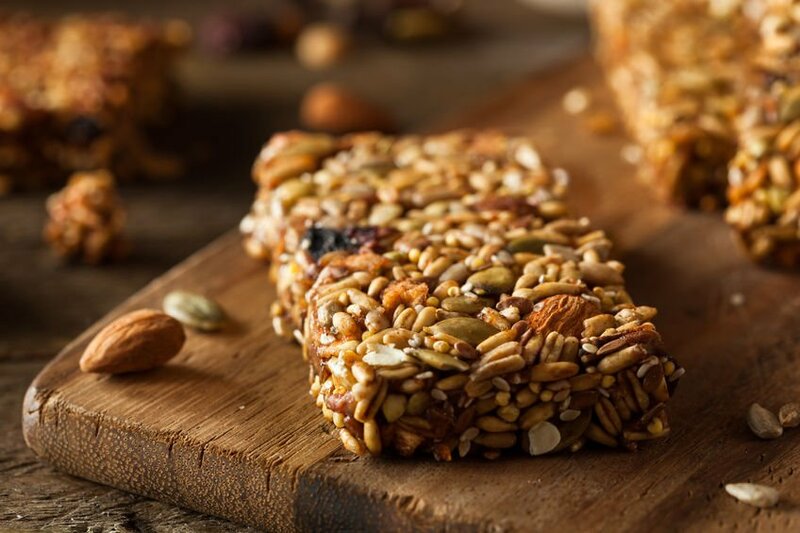 Homemade granola bars are a great, nutritious snack for the whole family. Add flaxseed, or ground flaxseed, to your favorite granola recipe. 10. Flaxseed oil for salad dressing. 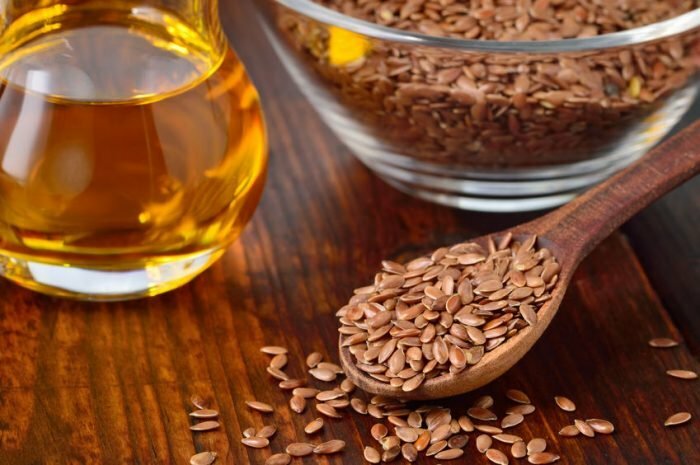 Flaxseed oil isn’t commonly used as a cooking oil, but it can be used as a healthy alternative to salad dressing or as a dipping oil for bread. Simply drizzle some on, and enjoy.